Description: Several licenced Fisher-Price books were made featuring Little People Characters. 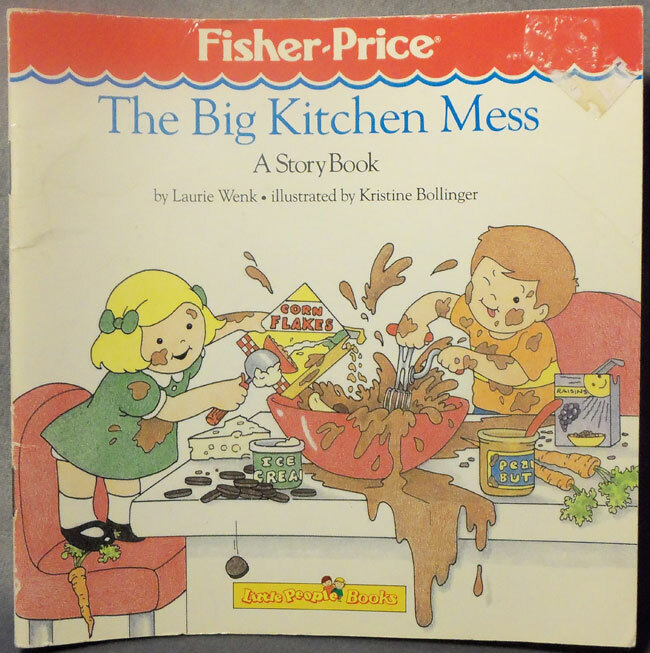 The "The Big Kitchen Mess" is a square soft cover book with brightly colored realistic Little People characters: Penny (green girl with blonde hair), Timmy (orange boy with brown hair), and Lucky (Black dig with whte face and red collar). FPT5188 - Soft cover book titled "The Big Kitchen Mess". The top of the book has a red Fisher-Price awning bar. Published by Marvel Books. Measures 8" tall x 8" wide. 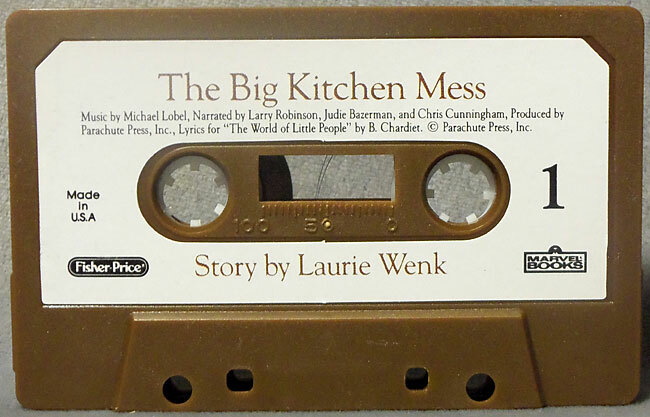 FPT22171 - Brown cassette with a white label marked, "The Big Kitchen Mess". FPT45298 - Mint on card set.